Hey everyone! Sorry for the impromptu break. My back went out...bad this time. I couldn't move for almost 2 solid weeks. I am now back to crafting and trying to get a bunch done because I am going to have to take a rather long break because we are moving! I am so excited. We have been in duplex for years. We got a beautiful single family home in a really nice neighborhood. I am thrilled and the best part...I get my very own stamp/scrap studio. I am living on Pinterest every night trying to decorate my home digitally! Anyhow, I am playing along with the FABULOUS Simon Says Stamp this week. I have been completely addicted to stencils and embossing paste as of late. I use the embossing paste with pearl embossing powder this time. I love the effect. The Challenge this week was to use hearts...I don't think it was too hard of a challenge with all the goodness SSS put out with their Valentine release. 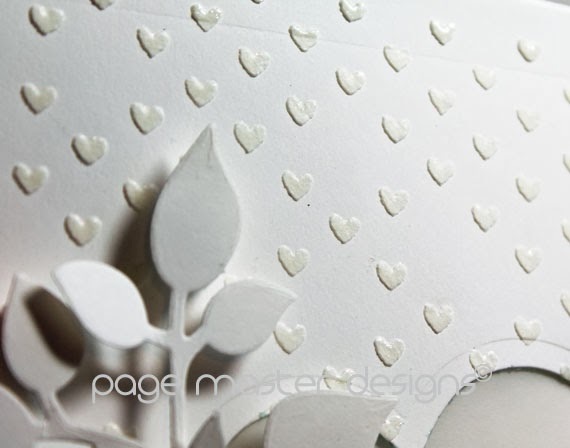 I used the Simon Says Stamp Falling Hearts Stencil with white embossing paste and then I heat embossed it with ClearSnap's pearl embossing powder. It's kind of hard to see it in the photos below but it has a really nice pearl look to it. 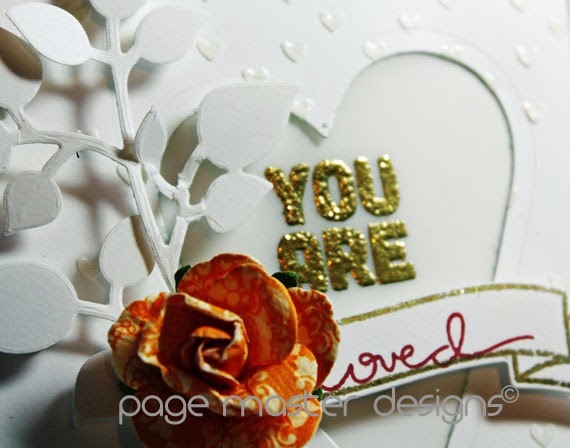 I die cut a Hero Arts Heart out of the card and then embossed the "You are" in American Crafts Zing Gold Glitter embossing powder. I did the same with the Avery Elle Banner. The flower is from Michael's and the leaf is from Taylored Expressions! So pretty. Hope all is well Michelle! 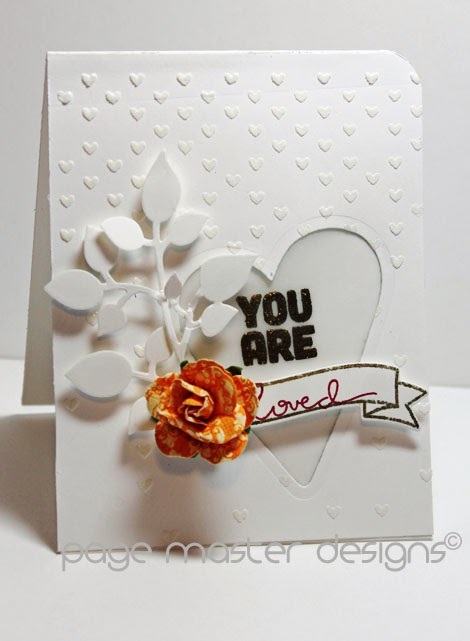 Gorgeous card, so pretty and I love the SSS stencil you've used. That's one of my favorite stencils from SSS and you've used it beautifully! Gorgeous design...love the pop of color from the flower! Congrats on the new home...having your new studio will be so much fun!